This is the final post in my series of three on the connection of my father’s family to slavery —a 110-year legacy— and my search for African American descendants whose ancestors toiled on my family’s plantations in South Carolina. This post takes us to the Civil War and my 5th great grandfather, James C. Furman. Like his father before him, he was a slave owner, Baptist minister and educator. Along the way, I have had the help of genealogist Sharon Morgan and Trina Roach, a recently revealed linked descendant. Sharon helped guide me through the murky records of the censuses and other on-line research. Trina provided me with irrefutable evidence —by way of a 1916 article in a local Sumter County, South Carolina, newspaper—that some of her ancestors were owned by mine. Trina found me online through Sharon’s website, Our Black Ancestry, which links to the BitterSweet: Linked Through Slavery blog. She also provided me with information about her family from the 1870s, as well as other materials, which she has graciously allowed me to use in this post. I thank both Sharon and my linked descendant, Trina, for their help with this journey. These Taylor are all listed as farmers in the 1870 census. James Taylor’s family included Fanny, 30, at home, Cornelius, 22, Suzie, 21, and Branegan (sp), 4. Cornelius and Suzie were identified as farm laborers. Prince Taylor’s family lists wife Lydia, age 30. His children were Margaret, 10, Elizabeth, 8, Charlotte, 5, not legible, 3, and Sarah, 1, at home. Prince Taylor’s personal possessions were valued at $125. Prince’s older brother, Able Taylor, was 39 at the time. His wife was Betsy, 34, keeping house. Their children were Percilla, 13, John, 4 and Isabelle, 3. It is significant that the Taylor wives did not work outside the home suggesting that the Taylors had some success as farmers. 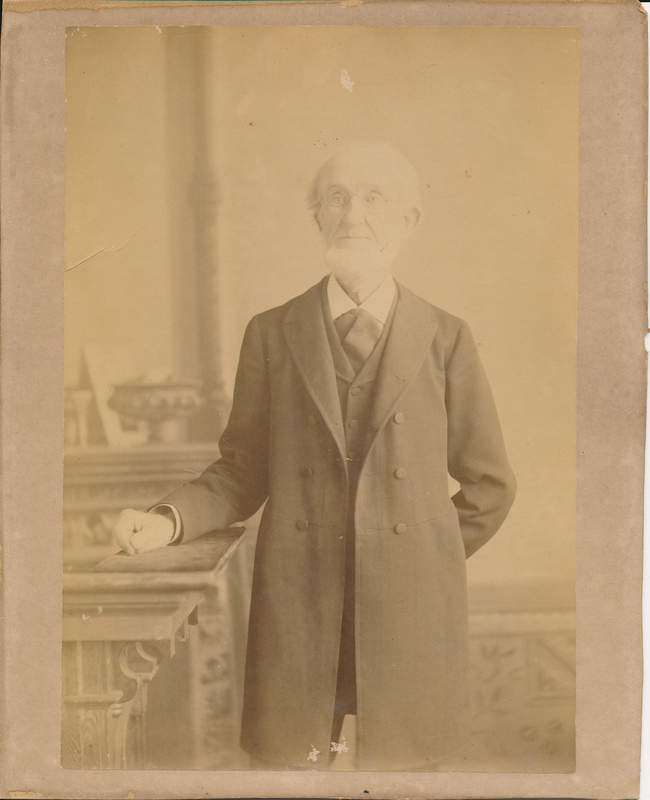 Trina is researching whether Samuel Furman’s son John Furman (1824 – 1902) may have become responsible for the family property as his father aged. “I then realized, however, that by the time of the 1860 US Federal Slave census was taken, Samuel was already up in age. I therefore felt it might be safe to assume that his son may have been responsible for the family business dealings by then.” Research to be done, therefore, may reveal the names of slaves owned by Samuel Furman but listed in records related to John Furman. My Furman ancestors were prominent white men who were part of the written history of South Carolina. Published biographies have been written about two of them. And they are mentioned in all of the major histories of the state. Therefore, there have been many historical materials available for my research—one of the many benefits of my white privilege. As a result, I know a good bit about James C. Furman. James C. Furman (1808 – 1891) left Monticello plantation in Fairfield County, South Carolina, and arrived in Greenville, South Carolina in 1857. It was at that time that he founded Furman University, formerly a Baptist seminary, now a liberal arts college. He bought a house and the surrounding land in the countryside outside the city in order to continue his life as a planter. 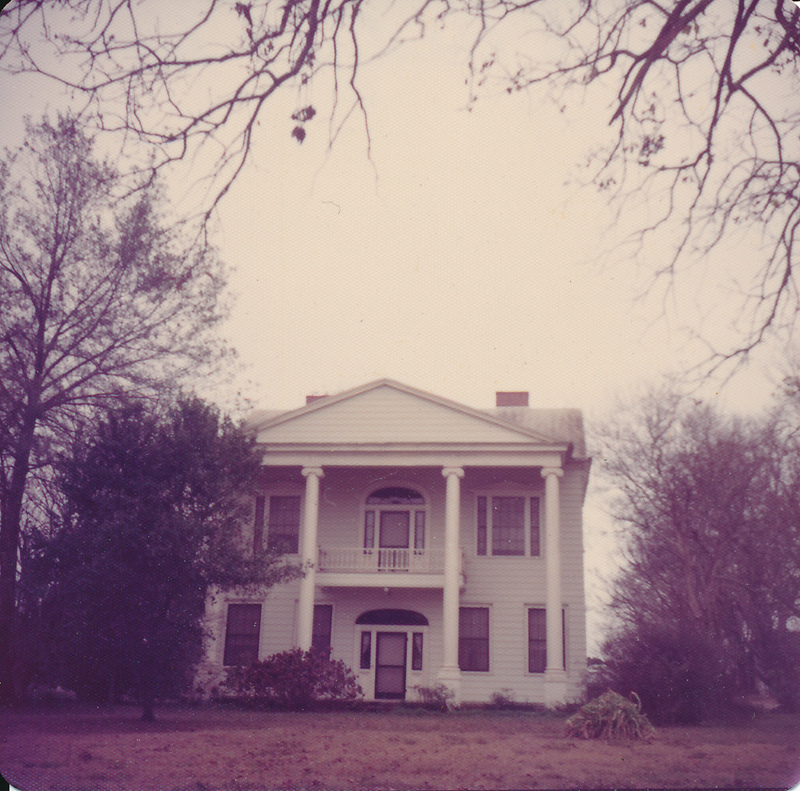 His plantation, named Cherrydale, was a 1,200 acre estate. His roots, however, were in the High Hills of the Santee in Sumter County, South Carolina, where his grandfather had settled before the Revolutionary War. The slave census of 1850 shows that James C. Furman owned 55 enslaved people in Fairfield County. The 1860 census lists 50 people enslaved in Greenville. These people are thought to have been given to Furman by his prosperous father-in-law, Jonathan Davis, who was known for his harsh treatment of the enslaved people on his plantation. He later lost his estates through suspect financial schemes. The 1870 census, of course, does not list any enslaved people but does record a black domestic servant, James Montgomery, as part of the Furman household at Cherrydale. One could suspect that James Montgomery, age 30, had formerly been enslaved by my ancestor. Additionally, the 1880 census lists two other black servants: Chaila Dankins (age 18) and James Fisher (age 16). But not Mr. Montgomery. Dankins and Fisher may also have been slaves on Furman’s plantation as children. I followed Chaila Dankins and only found a Henereta Dankins, 61, listed in the 1900 census, Gaffney, Cherokee County, South Carolina. She had a son named Ferman Lany, age1. Knowing the last names of these three opens up the possibility that I will be able to trace descendants through the federal censuses in my quest to find additional linked descendants. In addition to these servants, a pictorial publication about Furman University includes an 1890 photograph of Abraham, described as a former slave of the Furman family in front of Cherrydale. Could this Abraham possibly be the Abraham “Able” Taylor who is listed in the 1870 census and believed to have been enslaved by Samuel Furman, uncle of James C. Furman? “.…my old marster, have a brudder called Jim [my 5th great grandfather], dat run de Furman School, fust near Winnsboro, then it move to Greenville, SC… Dere was over a thousand acre, maybe two thousand in dat old Furman place….My pappy and mammy was field hands. My brudders and sisters was: Liddie, Willie, Ria, Ella Harriet, Thomas, Smith, and Marshall. All dead but me and Marshall.” He identifies his wife’s full name as Carrie Anderson as well as the last names of his two daughters and their husbands—Essie (married to Herbert Perrin) and Dora (married Ed Owens). Again, with these, it may be possible to find additional linked descendants. In an interview with 96-year-old formerly enslaved Lewis Evans (WPA Project 1656, W. W. Dixon, Winnsboro, S.C.), he speaks about James C. Furman and his brother-in-law having acted as doctors on Major William Bell’s plantation. Furman was not a doctor of medicine but had studied the subject as a young man. He treated the enslaved people on his own land as well as those on the plantations of his neighbors. “Us had two doctors, Doctor Furman and Dr. Davis (probably the son of Furman’s father-in-law mentioned above). White folks care for you when you sick.” After describing the whippings he got for various reasons and the cruelty of the patrollers, he ironically says, “White people been good to me.” This was not an uncommon statement found in some of the “ex-slave” narratives. Scholars suggest that the “ex-slaves” sometimes said what they thought the interviewer wanted to hear and were fearful of telling the truth. Lewis Evans was probably concerned about the consequences of telling the truth. It is sad to think that oppression and abuse lay so deep in these respondents that seven decades after the Civil War they even feared the younger generations of their oppressors—and rightly so, as the laws of segregation in the South were in full force. Sharon and I looked in the 1870 census for African Americans with the last name Furman. We found 12 counties in South Carolina where African American Furmans lived–a total of 115 people. Next, Sharon suggested that “I go to Ancestry or Family search. Do a census search for FURMAN (surname only) born in 1939 @ Sumter SC. That will give you a VERY long list of living people with the FURMAN surname – likely descendants of your FURMANs….You could think about approaching this like a formal research study…. Write letters explaining what you are doing that include a questionnaire asking about people’s ancestry? That way, you would have a basis to connect them to the slave names you find in the records. People who live in small towns have loooooooooog memories. Long term, maybe you could do an event of some sort…a ‘family reunion’ sponsored by Furman University? You can get addresses and telephone numbers using Intelius.com.” Intelius.com is an online national people search directory of current residents found in telephone books and other records. As it turns out, there are not many African American people with the surname Furman in the Sumter County 1940 census–only 20. 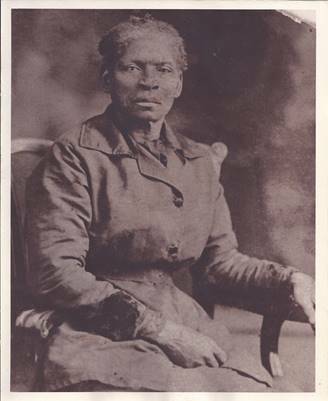 (Of interest is Emma Furman, who was 100 years old in 1940, thus was born during slavery! Another Furman, James, age 23, with the same name as one of my early ancestors, was listed as a “quadroon,” which means he was one-quarter white.) I also looked at the 1940 census in Fairfield County (where James C. Furman lived in 1860) and found only one African American person with the last name Furman. And in Charleston, where several slave-owning Furmans lived in the 19th century, there were only 11 people with the last name Furman. On Intelius.com, the people search directory of current residents in telephone books and other records. I found 20 African American people with the last name Furman who live in Sumter. Of course, I don’t know if these people are African American or not. But there are three people over 80 living in Sumter today: Viola Furman is 87, Henry J. Furman is 92 and George Furman is 84—elders who are old enough to be grandchildren of enslaved people or slave owners. For the record, and so that descendants of some of the people the Furman family owned might possibly connect the Furman name with their ancestors (and should they Google them and find this blog or find Sharon’s site, Our Black Ancestry), I have provided below the names of the South Carolina Furman slave owners of the 19th century listed in the 1860 slave census. To find the names of enslaved people owned by these ancestors, I will need to search for plantation journals, Freedmen’s Bureau and tax records and probate lists of property for all these Furman slave owners. Then try to track the names to the 1870 census. That’s a start. But this search will be a life-long endeavor. At the moment, by way of the 1916 article in a local Sumter County newspaper (see footnote 1), Trina and I are entwined in a journey that requires us to join forces to find our linked ancestors. Why is this important for me? It is the opportunity to face a descendant of someone my ancestors owned. Trina lives in Germany so meeting in person may not happen in the near future. But I want to ask her for understanding and forgiveness for the harm my ancestors caused to hers. For Trina, I don’t know yet what meaning our working together might have for her. But she has promised to author a post about her experiences on this blog. My hope is that Trina and I can “come to the table” with truth and courage to face the realities of our heritage. In an 1853 letter from Mary Davis to her brother Nathan Davis, she describes the differing views of her father and her husband, James C. Furman. “[Furman] endeavored to persuade father to more gentleness—and expressed his belief of the religious obligations of the slaveholder. Father persisted in his own ways….The plantation negroes became dissatisfied—seemed to give him a deal of trouble—perhaps were disobedient—I don’t know about that—at any rate father thought so—and expressed in the family his determination to resort to severe measures. Charles Manning Furman gained prominence as the President of the State Bank on Broad Street in Charleston and served as trustee for many clients for the purchase and sale of slaves. John Furman lived at Cornhill Plantation in the Privateer Township in Sumter County. Very interesting, Felicia. What an opportunity to learn about the experience of slavery under your family through the WPA Writer’s Project! I’ve looked through those records a lot and have yet to find anything related to descendants of my family’s slaves. Wow, your family founded Furman University. My parents wanted me to consider going to college there, along with UVA, William and Mary, and Duke University. Never really thought about it until now, that my parents felt most comfortable recommending only schools founded by enslavers! It seems like a lot of colleges and universities were founded by enslavers. My next research task will be to investigate whether the first campus of Furman University was contructed by enslaved people. Felicia, great in-depth research and information. Thank you for sharing your meticulous research into your family and a great big hug for advocating reconciliation. Question: Were any of your ancestors were once Formans/Foremans? From what I learned, many Furmans were once Foremans/Formans. Perhaps due to Census spelling errors, or other reasons. My Formans/Foreman White ancestors originated in England or Wales and Virginia. My research is rather localized in one particular area (Camden, SC). Thank you for your response. Haven’t run into the spelling of Furman as Foreman but if certainly could have happened along the way. The original documentation looks like Furman. Camden is not too far from Fairfield and Sumter. Thanks for the “hug for reconciliation.” Ultimately that’s why I do this research. Big hug to you too. Thanks for tuning into BitterSweet. I admire your work and interest in your connection with this period of our history in both SC and at Furman University. I hope you don’t look at this as something you need to atone for. While we all feel a closer connection to our direct ancestors and their lives, their times and lives were not ours. I don’t so much feel that I need to atone but to take responsibility to find and acknowledge the truth. Thanks for your response to my post. I just came across a record where the interviewee basically told the woman recorder, “Lady, you don’t want to know,” when she asked about conditions … and then refused to elaborate. Apparently, there are also instances of recorders minimizing cruelty and re-phrasing what they heard … to make it palatable. Good point. WPA didn’t save the actual recordings so we don’t get the verbal and facial nuances that might reveal more detail. Felicia, I share a heritage similar to yours, being a descendant of slave holders from South Carolina. However, my family was not a large slave holding family, but perhaps more typical of the day, those who enslaved only one or two. My earliest know ancestor who was an enslaver was Moab Stephens, who enslaved a male and a female per census records in Robeson County, NC. The family migrated to Lancaster. Moab had a son, Joshua, who lived in Alabama and left a will instructing his sons to care for the elderly Moab and Temor or Timor, his enslaved person. I am grateful to have a name to search. I wonder if Temor could have been a family member or have some such connections since he was to be cared for per the will. Those must have been some difficult times for family loyalties. Reportedly, two of Joshuas’s sons went north and fought for the union (one died) while others in the family fought for the south. Moab outlived his son, Joshua, and Moab deeded Temor to daughter Amelia Stephens Hough of the Chesterfield County. I hope that name or the name “Stephens” may lead to connections. I have Baptist ministers in my family who justified slavery as well. I have looked and looked for any possibly ties but have not been able to see any; please let me know if you see any possibilities. I pray to be as fortunate as you, that I might connect with other Stephens, especially descendants of the families we enslaved. What are the dates of the wills? There may be ways to track your Stephens ancestors and Temor. What ideas do you have? They would be greatly appreciated. Felicia, such beautiful, simple, profound work. Thank you! Thanks for leading the way, and congratulations on all you’ve uncovered, Felicia! It’s great to get our histories out in the open. Look forward to your next installment. Felicia, as you close out this forum, may the fruits of your word and the seeds you have sown continue to bear fruit, even when you close down the forum. Thank you! Iam the 3rd great granddaughter of Louis Evans.many of my family members still in the Winnsboro area. Were the Evans related to the Furman’s somehow? Felicia, I am pleased to have found that you are researching this topic. I am working on Nathan H. Davis, the brother of Mary Glenn Davis Furman, the recipient of the letter you mention. My interest is not as a matter of family history, but rather because Nathan and his brother Jonathan R. Davis, were both in California during the Gold Rush, and I am presently writing a two-part article on Nathan’s time in Nevada County, CA, where I reside. I believe Mary herself was a slave holder, so she may have brought slaves to her marriage to James C. Furman. If you would like to contact me directly, I can look into what information I have. How miraculous. I’m amazed at the connections I’ve made through BitterSweet. And here is another one. Thank you for contacting me. It’s been mentioned in the family that James C Furman would have been too poor to have bought slaves himself and that it was Mary who brought them into “the family” from her father. She probably ran the plantation in Greenville too as James C Furman was busy developing Furman University. I’m planning to do some research at the Duke Library at Furman University this year and and there may be letters or such pertinent to your research. I’ll keep a look out. In the meanwhile, I would love any information about the Davises and Furmans you think would be pertinent to my research. Thanks for your response. I learned of the remarkable Furman University collection last year, and in May will be visiting there. I am very much looking forward to it. Last year I was able to order hard copies of Nathan’s letters to the family that he wrote from California, but now hope to see what letters are in the collection from the family to him. If you are not aware of it, at the archives there is a photograph of Mary in front of Cherrydale when she is an elderly woman. There is a black worker in the lower right hand corner of the photograph. I don’t know if the records contain his name or not, but perhaps he is one of the people named in other sources. I will pull together what I found on the Davis slaves. Also, I may have missed it in your earlier posts, but are you descended from James C. Furman? And if so,through Mary, or her sister Harriet who was first married to James but died in 1850? Glad you are going to Furman University. Maybe I can overlap with you. I am aware of the photograph and have a very bad copy of it. I hope Furman will have a better one and that it identifies the African American man in it. I suspect they have a lot of materials we both will be interested in. I’m descended from James C Furman and Mary. My father and grandfather were both very active in the school’s development. Hello Felicia, I have had a chance to back and look at my notes. There are three letters from Nathan H. Davis that may be of interest to you when you visit Furman University. One letter from San Francisco is dated November 30, 1853 in which he talks about Christmas at the Davis plantation. It is likely that some of the names mentioned by Nathan are slaves, but that is not explicit. Two other letters from San Francisco dated September 9, 1854 and October 31, 1854 mention the potential sale of a slave woman named “Amelia”. The prospect of this sale is of concern to Nathan, and he seems quite agitated about it. He is urging Mary and their brother, Jonathan Bunyan Davis (Bun,) to borrow from family to pay off the debts that are apparently triggering the potential sale, and offers to vouch for the loan if it can be secured. Typically it took a letter 4-6 weeks (or longer) to get from South Carolina to San Francisco, so you may want to look at letters written from Mary or other family members in September-November 1853 and in August-October 1854 to see what prompted his concerns. Hope this is helpful. Thank you Linda so much for this information. Interesting is Nathan’s concern about Amelia. Maybe we can tease out this history. I’m guessing that James C. Furman and Mary might have been married by this time and possibly living in the Davis house. Have to check my notes! Good luck with the research. I know the Furman staff will be helpful. Outstanding work Felicia. I recently became aware of the WPA Writers Project and believe Anderson Bates to be my 3rd great grandfather. I believe his daughter Dora Bates Owens to be my 2nd great grandmother; however, I have not had any success in locating the names of Dora’s children. If my inferences are correct, Dora is the mother of Winnie Owens Davis, my great grandmother. My search continues. How great to hear from you. We appear to be Linked Descendants. I’ll be doing some more research at Furman University in Greenville, SC so I’ll be on the lookout. Just checking in again to say how much I appreciate your contacting me. I hope we can together discover more about our linked ancestors. I wanted to ask how you found my posts on BitterSweet? Two other people who are descendants of enslaved people owned by my family have “found” me through Our Black Ancestry. I was wondering where and when your great grandmother was born? Hi! I am a descendant of Nathan and Cloie Ford Amos. I think they have were enslaved on Cornhill plantation in Privateer (Sumter). If you have any information I would love to know. Hello and thank you for contacting me. I hate it so that my ancestors might have enslaved yours. I am truly sorry. But that is the reality that I must face and this country must boldly address. I think that with so many people now looking for their ancestors and wanting to know anything about them we are compelled to have meaningful exchange about this terrible time in our history. And hopefully begin justice building and healing. I’m trying to find out about Cornhill and the people there. I’ll be going to SC this month to do research at Furman University and I hope something will come up. And of course, I’ll be in contact with you about my progress. Thank you very much for your commitment. I appreciate it very much. I am very interested in anything you may find regarding anything that pertains to any of my ancestors you may find. Thank you so much again and I look forward to speaking with you again. I will let you know one way or another. Hi Monique? I’m a decesendant of cloie and nathan too. Have you found anymore info on cloie and Nathan? Or do you have anymore info where they came from? I hope so much I will find a connection that will help you. I have the privilege of having four generations of my family’s correspondence and papers all organized in a university archives. But I’m interested in teasing out their connection with individuals who they enslaved. It’s so important to have the names of these people at least acknowledged. I hope we can do more than merely acknowledge them. They are the reason I am who I am. We as Americans owe your ancestors a huge debt. Maybe you’d be interested in joining Coming to the Table, http://www.comingtothetable.org, whose members are descendants of enslaved people and enslavers. It’s free. We come together to work on reconciliation and healing and helping each other make these historical connections. We have monthly telephone conversations on many important topics and are holding our 10th anniversary National Gathering in June where we participate in many important programs and conversations and really get to know one another. We all try to face the reality that Slavery has impacted all of us. Hope you’ll have a wonderful day. Thank you for these courageous steps.Together we will heal our country. It’s so important to get the truth out and white people with slave owning ancestors have a responsibility to put their family histories out into the universe (the internet) to help others. I have documents from Duke University for Cornhill Plantation. My family was enslaved there. I am trying to find the location of the plantation. I believe it is near Bethel Church on Bethel Church Road. I found a colored cemetery a cross from the church dating back to 1823. The paperwork from Duke was very helpful but it did not include the location of the plantation. We the Nathaniel family is having a family reunion in July 1-3 jn Sumter SC I would love to show them the plantation if it is still standing. Thank you so much for contacting me. I’m looking for Cornhill too. Someone else whose ancestors were enslaved there is also looking. Maybe between the three of us we can find it. I’ve not yet been to Sumter County for further research but plan to in the near future. May I ask what the names of your ancestors are from the 1870 census or other records or oral history? I could have the names in mind while researching. I’ve recently researched at Furman University in Greenville, SC. They have a huge collection of Furman family records from the 1700s to the present. I’ll be posting about my research there in the near future. Could I also have the citing for the material at Duke University? I’d also like to know how you found my post. Have you accessed the site Our Black Ancestry? And finally, I acknowledge and honor your family’s connection to my family and work toward transformation and healing from the harms of slavery. I an on the board of Coming to the Table, which publishes this blog and invite you to join the organization (free) for truthful conversation about the realities of our shared history. Furman University was originally founded in 1826 by the S.C. Baptist Convention and named in honor of Richard Furman (1755-1825). After several name changes and change in location, it was moved to Greenville in 1850 and chartered as Furman University. James C. Furman, who had been a student at the school then known as Furman Theological Institute located at the High Hills of Santee, was a professor, later head of the faculty, and president 1859-1879. He was not the founder of Furman University. Interesting view of history different from what I’ve read and heard. Thank you for challenging the traditional views of who founded Furman University. There will be on interesting debate around not only those who founded the university but the extent of the school’s connection to slavery.